Bettors of the Super Bowl LIII national anthem are holding on to their wager slips just a bit tighter. After it seemed like bettors had hit on the over, with the anthem finishing at 2:01, there now appears to be some controversy. The initial over/under was set at 1:50. 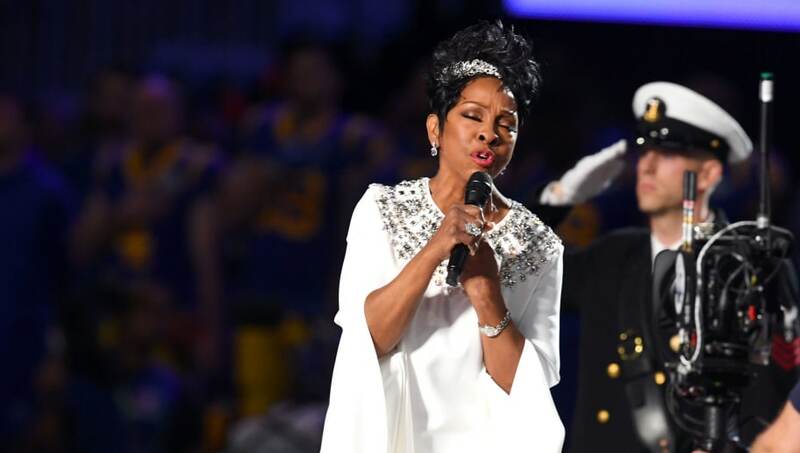 JUST IN: There's controversy over the Gladys Knight national anthem. One sportsbook graded the OVER as a win and then took it back. Apparently, she might have said "BRAVE" twice. First brave would have made it the UNDER. End of second brave would have made it the OVER. According to the guidelines, the time on the national anthem is supposed to end at the song's final word -- brave. However, Gladys Knight actually said "brave" twice, and that extended the song a few extra seconds. This would not be the first time there has been a controversy over the national anthem scoring. Christina Aguilera also said "brave" twice. It's now scored after the first "brave" ends. Stay tuned for more coverage on this as some sportsbook have already paid out some of the initial winners. Some sportsbooks, however, have put a stop to paying out on some of those tickets. Hopefully, you were at the front of the payout line when Knight hit that last note. 53 to 1 odds for the big game (either team), max bet $5, online single moneyline bets only. Offer limited to first 25k users. Must be user's first online wager. Pregame, moneyline bets only ($5 max). Bonus issued as site credit. 21+, physically present in NJ. Gambling Problem? 1-800-GAMBLER. Al Walsh is not a FanDuel employee. In addition to providing DFS gameplay advice, Al Walsh also participates in DFS contests on FanDuel using his personal account, username 14AdotWalsh. While the strategies and player selections recommended in his articles are his personal views, he may deploy different strategies and player selections when entering contests with his personal account. The views expressed in their articles are the author's alone and do not necessarily reflect the views of FanDuel. Introducing The Duel, from FanDuel and powered by Minute Media — a curated collection of quick-hitting fan-written sports content. We’ll cover fantasy, betting, and all things sports, from catch rule controversies to 6-game-parlays-just-crazy-enough-to-work. And we’re not talking 10,000 word features here. The Duel is designed to be read at your desk and minimized when your boss walks by (remember: no one looks twice at a spreadsheet). If you want to join the team and write for The Duel, email us at duelwriters@fanduel.com. We’ll see ya out there.